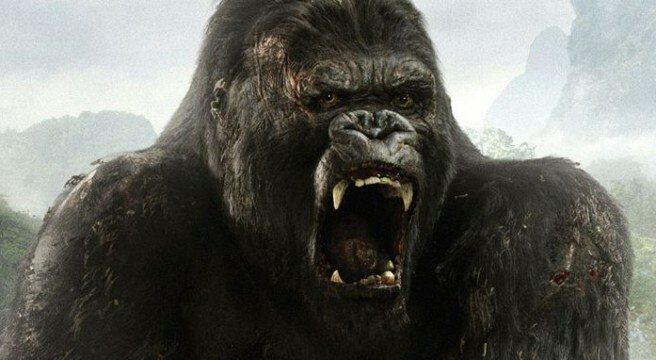 Having wrapped up script duties on Isla Nublar and Colin Trevorrow’s box office behemoth Jurassic World, screenwriter Derek Connolly is ready to set sail for a new resort according to The Hollywood Reporter, with Legendary’s Kong: Skull Island now smack bang between his crosshairs. With filming set to kickoff later this year, it’s understood that the extent of Connolly’s work will be relatively minor, adding an extra sheen of polish before the cameras begin rolling on the film’s Hawaiian set – it’ll also shoot in Vietnam and Iceland. Jordan Vogt-Roberts’ creature feature has been doing the rounds across some of the industry’s more notable writing talents, with Godzilla scribe Max Borenstein, John Gatins and Dan Gilroy all contributing to the screenplay over the past few months. Tom Hiddleston, Brie Larson and Corey Hawkins are currently locked down for the daring expedition, after Kong: Skull Island lost two major players in JK Simmons and Birdman‘s Michael Keaton earlier this year. Last we reported on the prequel, Samuel L. Jackson and Tom Wilkinson were reportedly eyed as replacements, though there’s little update on that front at this time. Set against the 1970s, Vogt-Roberts’ blockbuster will be infused with a particular sense of style, which will no doubt set it apart from Peter Jackson’s acclaimed King Kong in 2005, itself situated in the 1930s. Alas, Kong: Skull Island will still retain a similar premise to its spiritual predecessor, as a group of explorers plot course for the primordial isle, and the fact that the king of apes is in the title suggests we could see him roar onto the screen at some point in the feature. Kong: Skull Island will explore the origins of the titular isle when Legendary’s big-budget prequel roars to life on March 10, 2017.